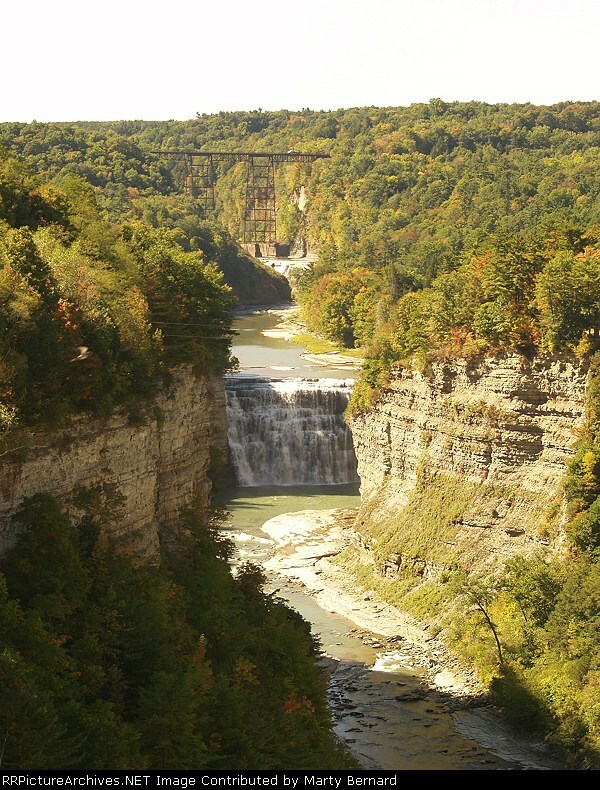 In the center of the picture is the Middle Falls of the Genesee River. Near the top is the Erie RR High Bridge and below it a small portion of Upper Falls is visible. On the bridge at the right is a NS work crew. This series of pictures is of that work crew and the bridge. This picture shows why this is called the "Grand Canyon of the East." #1 of 5 pictures. Click on "Castile, NY" below for all 5.